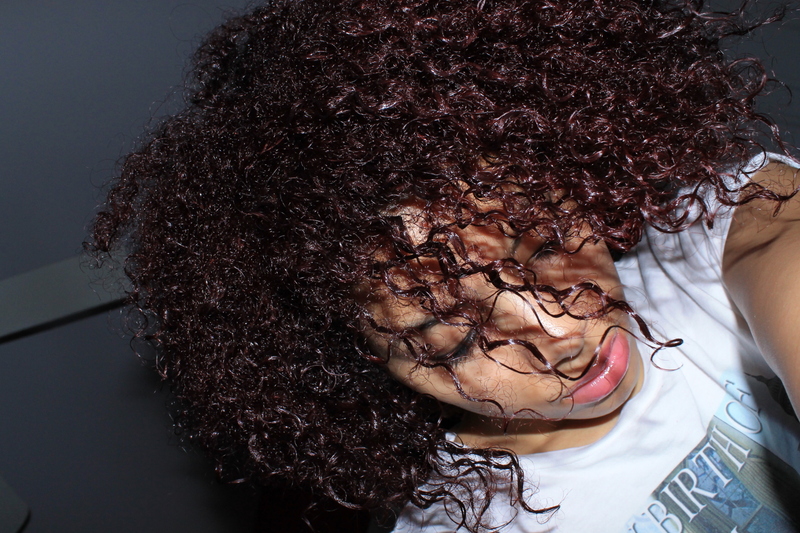 the dirty truth about keeping a clean scalp. There are two camps of cleansers in the curly world: those who shampoo and those who cowash (washing hair with a conditioner). No matter your method, it is extremely important to cleanse the scalp properly because over time, hair follicles acquire dirt caused by climatic debris and hair product build-up. Neglecting to properly cleanse hair follicles can result in hair loss, redness, dryness, and an itching scalp. Depending on the texture, porosity, and thickness of your hair, it is not always necessary to condition wash your hair daily. Stay away from silicones in products. They’re more difficult to wash out of hair since they’re not water soluble. Beware of any ingredient on a bottle ending in ‘cone’. Check that your conditioner contains emollients, protein, and humectants. Emollients add shine to dull hair, protein repairs fragile curls, and humectants lock moisture into hair. Be sure to stimulate the scalp to loosen dirt from the hair follicles. People who have skin conditions like dermatitis shouldn’t rely on cowashing, because this could actuallybackfire and make the condition worse. Since wavy, curly, and coily tresses tend to dry easier than straight hair, try using a gentle shampoo. For those with oily hair, shampooing might be a better option than cowashing, since they are strong enough to remove excess oil build-up. Most shampoos have a low pH that many cleansing conditioners simply do not. This means that without shampoo, the hair cuticle may not be raised enough to properly release dirt from the scalp. Clarifying sulfate-free shampoos do exist. Luckily nowadays, they aren’t difficult to find. Especially necessary for an itchy scalp (this usually means it is unclean). read more of my articles here. see more of me here. Thank you for sharing this information. I used to use Herbal Essences Sulfare Free shampoo and quiet like it. Previous music’s importance on my soul. Next thrift find: gold tooth necklace!